Forum for the Lunar Reconnaissance Orbiter (LRO) is NASA's orbiting the moon was successfully demonstrated the highest point in months. 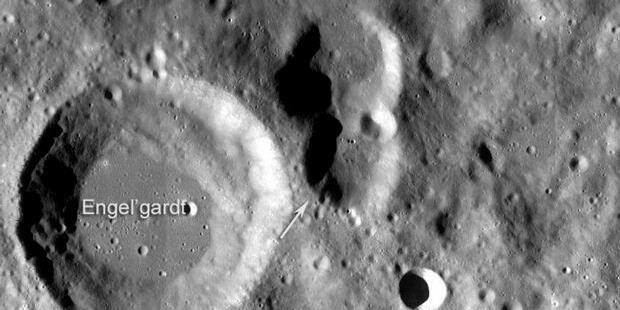 The point is the plateau near the crater Engel'gradt which has a diameter of 27 miles. Known, the elevation is 35,360 feet (about 10,000 meters) or approximately 6400 feet (1938 meters) higher than Everest. LRO has a tool capable of firing a laser beam that measures the height of the lunar surface. 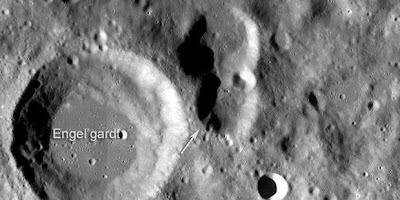 Data from this LRO compared with the moon's surface stereo images taken on August 12, 2010. The way it enables scientists to precisely measure the height and the coordinates of the highest point in this month. Altitude are found in this observation is calculated relative to the average height of the lunar surface. The way it is because scientists do not have a reference to determine the altitude of the moon, not like measuring height on Earth which depends on the sea surface. In contrast to the geological setting of Everest that took tens of millions of years, the highest place in this month is expected to form in just minutes. This place is formed as a result of asteroid strikes the moon's south pole about 4 billion years ago.